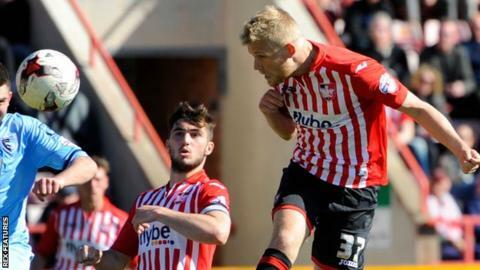 Exeter City manager Paul Tisdale says the club has made the best offer it can to sign Bournemouth striker Jayden Stockley on a permanent deal. The 22-year-old has scored 10 goals in 22 appearances for City since joining the League Two side on loan in January. "I would hope he wants to stay, we've made him a couple of offers now and the second offer is as good as we can make," Tisdale told BBC Radio Devon. "I'd like to have had that decision back by now," added the City boss. "We'd like to keep him and he's got a lot of work to do," said Tisdale. "We know him pretty well now as a player and I'd like to think we could make a difference to him, but it's his choice now what happens next."